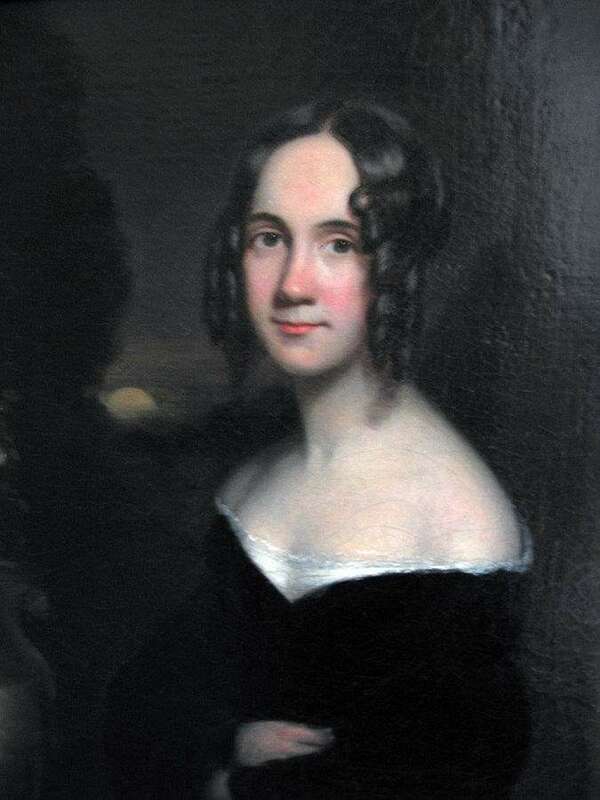 Growing up in Newport, N.H., Sarah Josepha Hale hardly seemed likely to move a president, build a monument or influence a generation of American women. Born into modest circumstances, she rose to the editorship of a popular women’s magazine. From that influential perch she promoted the Christmas tree, the white wedding dress and the Thanksgiving dinner of turkey, stuffing and pumpkin pie. Sarah Josepha Hale wielded a powerful influence on domestic fashion and taste as a 19th-century cross between Martha Stewart and Oprah Winfrey. She was born Oct. 24, 1788 on a farm outside Newport, N.H., to Captain Gordon Buell and Martha Whittlesay Buell. Her parents believed in education for girls, and home-schooled Sarah. Her father suffered from wounds inflicted during the American Revolution, which made farming difficult. 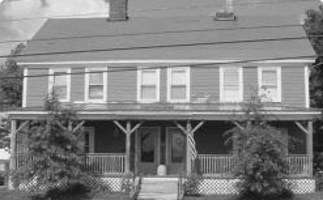 In 1811, he bought a tavern on Main Street in Newport and called it The Rising Sun. Meanwhile, Sarah grew up and taught school. She married David Hale, a lawyer, at the Rising Sun on the day before her 25th birthday. The couple had five children before David died nine years later. Sarah Josepha Hale wore black to mourn him for the rest of her life. The year after her husband died, she published a book of poems with financial help from his Freemason Lodge. Four years later in 1827 she subsequently published a novel that dealt with slavery, called Northwood: Life North and South. Back then, the United States had only two national holidays: Washington’s Birthday and Independence Day. Only New Englanders celebrated Thanksgiving, and each of the six states scheduled its own date to celebrate from October through January. 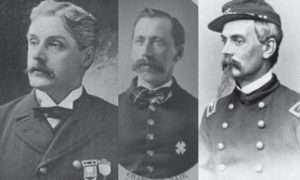 The success of Northwood: Life North and South got Sarah Josepha Hale the job as editor of Godey’s Lady’s Book, the biggest women’s magazine before the Civil War. She wrote editorial after editorial in her magazine urging Thanksgiving be celebrated as a national holiday. Finally President Abraham Lincoln acquiesced in 1863, thinking the holiday would help unify the nation after the Civil War. By then Sarah Josepha Hale was 74 years old. But how to celebrate the new national holiday? Sarah Josepha Hale had the answer in one chapter of Northwood: Life North and South. It included a detailed description of a New England Thanksgiving dinner, which became a template for the rest of the country. Roasted turkey, stuffed and basted, took center stage at the head of the table. 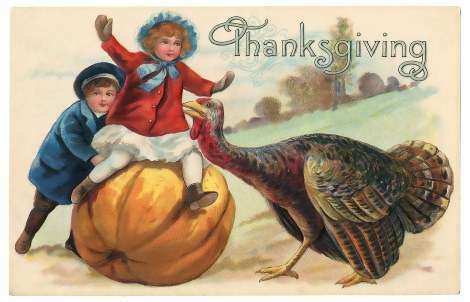 She then described an enormous amount of food: leg of pork, loin of mutton, sirloin of beef, vegetables, gravy, a goose, ducklings, pickles, preserves, a chicken pie – and the ‘celebrated’ pumpkin pie, an ‘indispensable part of a good and true Yankee Thanksgiving.' Every place had a wine glass and two tumblers, with a slice of wheat bread on top of an inverted tumbler. For desert they had plum pudding, custards, pie, cake, sweetmeats and fruits. To drink, they had homemade, mild spirits: currant wine, cider and ginger beer. In deference to an English visitor, the family had coffee after the meal. Sarah Josepha Hale wrote approvingly of the innovation. Sarah Josepha Hale subsequently lived for another 15 years after her great accomplishment. She also wrote and edited children's books. In 1850, Mary Had a Little Lamb appeared in Poems for Our Children. Her many other achievements include dozens of other books. She helped with the founding of Vassar College, the restoration of Mount Vernon and the completion of the Bunker Hill Monument. She died on April 30, 1879. Today, the Richards Free Library in Newport bestows the annual Sarah Josepha Hale Award on a New England writer. The first honoree was Robert Frost in 1956. Most recently, the 2018 award went to Nathaniel Philbrick.